We are a most trusted name among the topmost companies in this business, involved in providing DG Set Commissioning Service. To furnish the diverse requirements of our clients in the best possible manner we are involved in offering an extensive range of DG Commissioning. We would like to introduce ourselves as leading turnkey contractors for Hot and cold insulation and Dg sets erection, installation, acoustic and commissioning by analyzing, and execution as follows. 1. 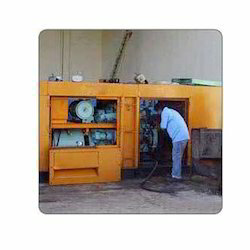 Acoustical Room Treatment.Ø Noise producing Machineries.Ø Diesel generators. 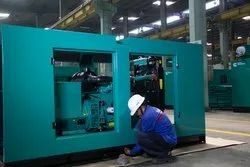 We offer Gensets Installation and Commissioning solutions for our complete range. The site may vary from a roof top to a basement installation. These services are extensively availed and appreciated by our customers. Our Service engineers are periodically trained at our principal works & Powerol training center to update them with the latest developments. - 750 KVA D.G. Set, Hiring, Installation, Testing and Commissioning for Karnataka Urban Water Supply and Drainage Board , Dharwad, site at Honnali. - 150 KVA D.G. Set, for Bharathi Airtel Ltd., at Bearey's Appartments, Near Ladyhill, Mangalore. - 62.5 KVA D.G. Set for Mangala Nursing Home, Mangalore.